Low Interest Rates and Closing Costs are what most home owners are seeking. 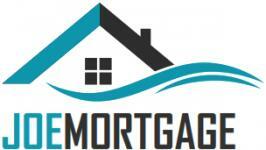 With the Joe Mortgage Team not only do we have low rates and fees but we pride ourselves on customer service. Quick pre-qualifications, great service and fasts closings. Financing a home in Arizona is one of the biggest decisions you will make in your lifetime. I hope you understand that it is important to work with a lender like The Joe Mortgage Team who understands your current and future financing needs. The loan process can be easy or hard depending on the level of commitment and dedication from your loan officer. As a licensed mortgage specialist our team will help you along the path of successful home financing. We will help you with your FHA, VA & USDA, Conventional, Reverse Mortgage, Construction loans across the state of Arizona. With the Joe Mortgage Team of Precision Mortgage we offer we will get you the financing you need!